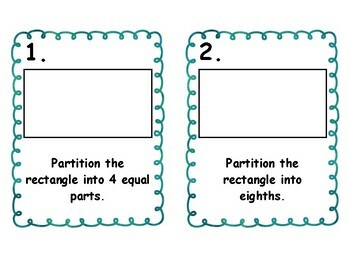 This file provides task cards and a recording sheet. 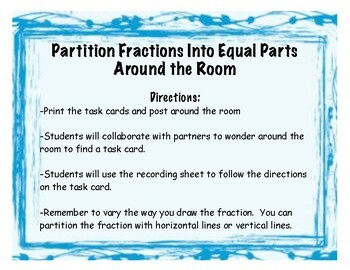 You can use the task cards as a center or a scoot around the room. 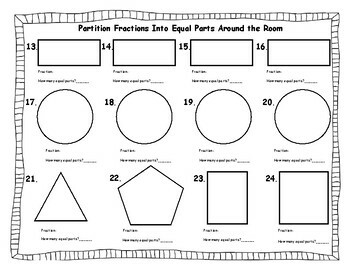 Students are asked to equally partition the shaped into equal parts. 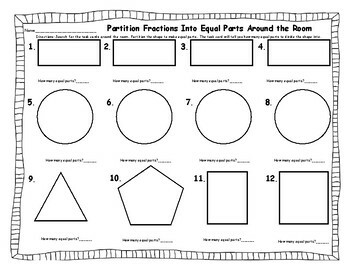 Students are also asked to shade a certain amount to make a fraction.